Every day, we offer Medical Lab Testing Houston Services that focus on	our consumers individual specific concerns. It is designed to empower	and assist consumers in getting control of their health while saving money	in the process. You don’t need a doctor’s order to get tested. All you have to	do is know what your concerns are and get tested Medical Lab Testing Houston	services today. Regular health testing can help you prevent many costly medical problems	by allowing you to know where you stand on a regular basis. And because we know that maintaining good health can be very costly, we	have great prices for you. Our customers include hospitals and managed care plans, physicians and	their patients, private employers, pharmaceutical and biotechnology companies,	military and law enforcement agencies. **PLEASE NOTE: Due to rising lab costs, the prices of our health lab tests	listed below are subject to change without notice. Call our office for the most up-to-date pricing information. Visit Personal Lab Services to establish a health baseline through Individual	Lab Testing Houston services for what’s going on inside. PLS offers thousands of clinical Individual Lab Testing Houston tests to	support your health and well-being. If you are not insured, have high-deductible	insurance, a health savings account (HSA) or flexible spending account	(FSA), you’ll find our Individual Lab Testing Houston services will	work into your budget. Our lab tests are both transparent and affordable	– you understand what you have to pay upfront instead of receiving	an unknown bill. PLS has a welcoming, clean location where you do not have to expose yourself	to others who may be contagious? Visiting our office was the right choice. 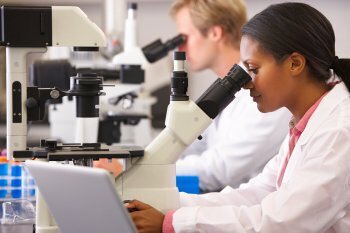 If you need to speak with a physician quickly after receiving your Individual	Lab Testing Houston lab test results, our convenient Individual Lab Testing	Houston services moves you from lab test results to speaking with a doctor	– quick and convenient, schedule an	appointment today with PLS. You’re the ultimate multi-tasker that’s saving resolving all	family issues that may occur. From trying to balance your job, preparing	breakfast, lunch and dinner and involvement in your children school activities	– A lot of instances this happens all at once! You’re developing	new paths in business, being the ultimate warrior. Now your next task – how to balance your family’s health care	budget due to possibly increased insurance deductibles from Affordable	Care Act changes. You excellent at providing care of others, now take	care of yourself! Personal Lab Services Houston TX offers Women’s Health lab tests	you need to monitor your health. You don’t want to schedule that doctor’s appointment or with	your super busy schedule get those nagging symptoms checking out. Nobody	wants wait all day and lose valuable time? Don’t let health care reform interfere with your health and wellness. Regain your health and	contact us today. Even simpler, just schedule an	appointment online!